Yuri Knott arranged for 14 stunning gardens in Sandhurst to be opened to the public especially for Starfish. £5 will give entry to all the gardens and bring encouragement to students in Malawi. This is a really creative idea that could be replicated for your charity. It is so community-based and natural. I like the family-feel of it, as groups visit the various gardens on display. All the combined work in preparation has been contributed to ensure that they are colourful and a joy to explore. I am glad that you have shown interest in the garden safari I organised. It went very well despite the occasional rain fall. Around 220 people have bought tickets and we managed to raise around £1500 which is great! We have received the lots of positive comments and the owners of the garden enjoyed having people in their garden. The idea worked well… you might like to try it in your area for your preferred charity…. 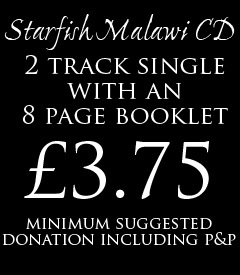 Please check out the Starfish Malawi website. 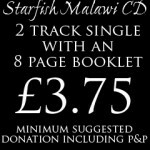 And what about this CD for a great gift idea… It was a very special privilege to meet up with Chris, the Founder of Starfish Malawi in a Little Chef restaurant. 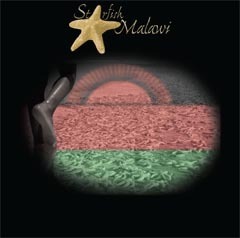 He shared with me his growing vision for Starfish Malawi. It has been so encouraging to see the project take off and develop.